The morning started off with cloudy skies, but as the morning grew on, so did the clouds. Anglers were soaked for about 6 of the 8 hour tournament day, and even the best rain gear seemed to fail. 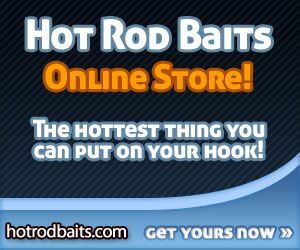 The ever changing weather on this day kept anglers guessing, there are always a few that key into things and bring home the big fish and the big money. Today was no different. 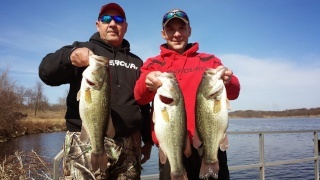 Many big bass were weighed in out of the 14 total keepers caught by anglers. 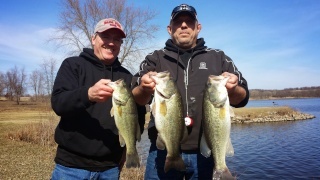 Dispite the 42-47 degree water temperatures, 8 fish were over 4 pounds, 5 fish were over 5 pounds, and 3 keepers weighed over 6 pounds. The biggest belonging to the Team Lunsford/Turner at 6.75#. What a day on the lake! 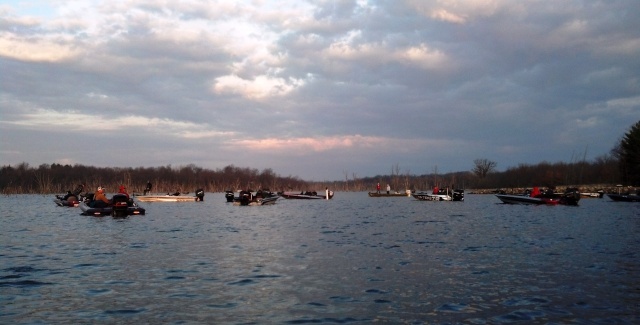 Sunday will be the LAST day for registration into the 2014 Bass Series. 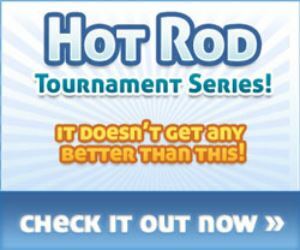 Currently we have 16 teams, so that will allow 4 more teams to sign up by Sunday, April 6th. 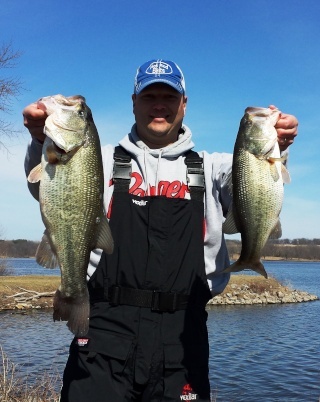 Once again top Iowa bass teams will battle it out for the Team of the Year Award for 2014. 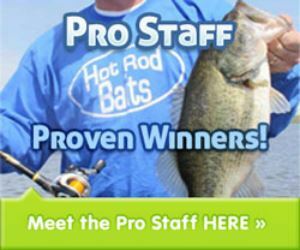 Plaques and up to $500 will be awarded to the top team overall team. 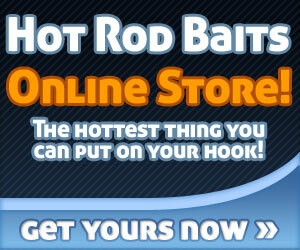 Hot Rod Baits will help you reach your fishing goals. 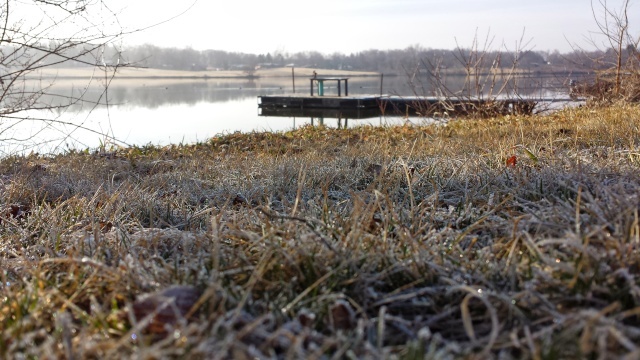 Whether you want to catch some crappies, bluegills or bass in the spring, summer, or fall, or if you want to experience a day of ice fishing, we have it.